Love making Mexican recipes but can’t seem to locate queso fresco in your local supermarkets? Don’t worry because, in this article, I’ll be listing some options that you can use as a good queso fresco substitute. Although these cheeses might not give the exact flavor as the real queso fresco, they’re close enough to give the character that you need in your recipes. Queso fresco is a Mexican soft cheese that’s mildly tangy and a bit salty. The texture of this fresh cheese is somewhat crumbly and firm. You can use this cheese in various dishes such as salads, soups, and enchiladas. So next time that you run out of queso fresco use any of these alternatives to make your cooking easier. 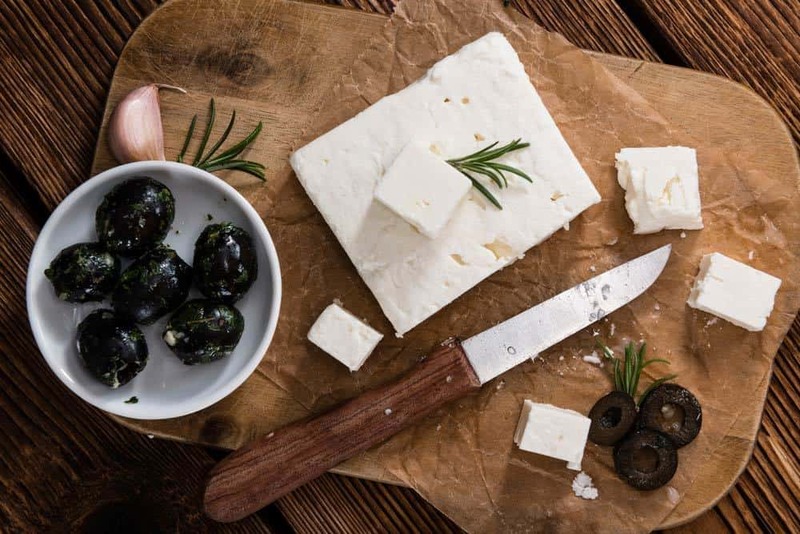 Feta cheese is an excellent substitute for queso fresco because it has the same firm texture that you can crumble over salads and other cooked dishes. However, it can be salty, so to tone down its saltiness, you can soak it in water. For convenience, you can choose a mild feta cheese, like the Danish or French variety. The French variety is less salty as compared to Greek and Bulgarian. Its taste is usually mild and creamy. While most French feta is made of sheep’s milk, some are made with goat’s milk that can taste a bit tangier and drier. The Danish feta is a smoother and creamier version of Greek feta cheese. This mild feta is created from cow’s milk and can be sliced without falling apart. 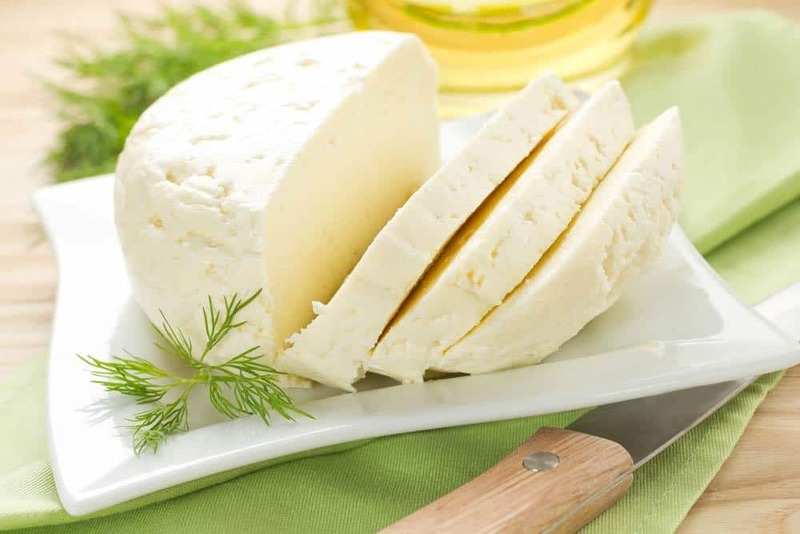 You can buy this Feta variety in various flavors, such as classic, garlic, and olives. When buying feta, only choose those that are white and not yellowish because it indicates oxidation outside the brine. The taste should be tangy and not bitter or sour. To keep the feta cheese longer for weeks in the refrigerator, you can store in a container with the brine solution. Watch how to store feta cheese properly in this video. 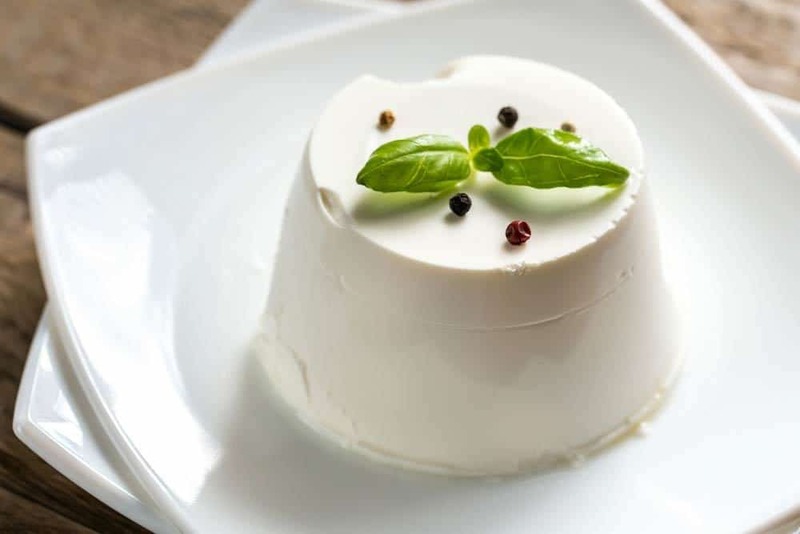 An aged ricotta salata can also work as a queso fresco substitute in salads, soups, and other dishes. Ricotta salata is another version of ricotta which has been pressed, brined and dried for about 90 days. You can consume this cheese while it’s still very young but the younger it is, the saltier it will be. The best age to consume it is about two months where it has developed into a delightful mellow cheese. This Italian cheese is created from the whey portion of sheep milk, but the cow-milk variety is just as tasty. The texture is firm similar to queso fresco so you can shave this cheese over salads and other dishes easily. The taste is mildly salty with a slight hint of milk and nuts. If you want, you can make your ricotta salata by mixing some salt in ricotta and straining it in a bag of cheesecloth for seven days in your fridge. The taste would be slightly bland, but I’m confident that the feeling of achievement would fill in its shortcomings. Watch how to make a homemade ricotta salata in this video. 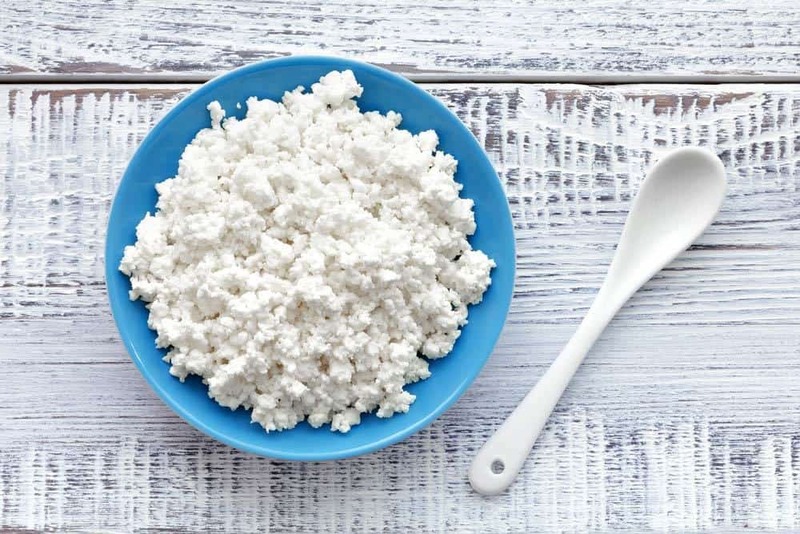 Dry-curd cottage cheese or farmer’s cheese may be an excellent option for those who are lactose intolerant. As compared to cottage cheese, the dry-curd variation has all of its lactose fermented out, and it appears to be drier. Since there’s no more moisture left for the unhealthy bacteria to thrive, the dry-curd variety has a longer shelf life. To keep its dry texture, no milk is added after fermentation. The longer the fermentation time, the more flavor it can develop as many lactic acids are converted from lactose. This makes it more digestible than the typical cottage cheese. You can usually find the dry-curd cottage cheese in the deli department of supermarkets. Depending on the rules of the store, this cheese may be sold for a particular order in bulk. If finding this cheese is difficult, you can make your own using one gallon of whole milk and 1/2 cup of cultured buttermilk. 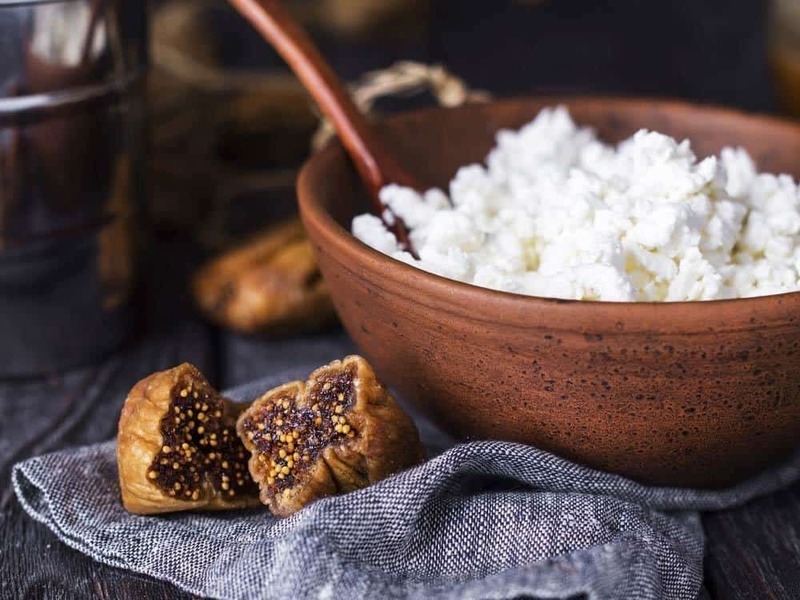 Check this recipe on how to make the dry-curd cottage cheese from scratch. When you use this cheese in recipes, you may consider adding a bit of salt or seasonings for flavor. When you can’t find any queso fresco, try using another fresh Mexican cheese, like Queso Blanco. There’s not much difference between queso fresco and queso blanco because both kinds of fresh cheese have a pleasantly mild flavor and neither is specifically melty. Their texture can also be firm and crumbly which you can efficiently use over salads and other cooked Mexican recipes. This white cheese can either be made from pure cow’s milk. It can also be made from a mixture of goat and cow’s milk. Since the maturation process of this cheese is pretty short, you can make this easily at home The process of making the cheese includes whole heating milk, stirring an acidifying ingredient to create the curds, and drying the curds using a cheesecloth. This cheese can now be found in your local grocery stores because it has indeed become popular in the US market. To be sure, you can try the Mexican markets. Remember only to buy those that are moisture-free and snowy white. They should smell fresh with a sweet or enjoyable sour aroma. If you’ve heard of the French Munster cheese, Muenster is its American imitation. This soft, processed cheese is created from pasteurized whole cow’s milk. The pale yellow color with traces of an orange rind is the output of the vegetable coloring stirred during the cheese process. Though edible, some cut off the rind because its flavor is very salty from the brine solution applied during the aging process. The cheese may have a very mild flavor when young, but it may develop a more pungent aroma and stronger flavor as it ages. The American versions have a sweeter taste as they’re sold younger as compared to European versions. Since this semi-soft cheese melts well, you can use this to substitute queso fresco in quesadillas. The taste is buttery, and the taste can be sharp as Monterrey Jack with less bite. When properly stored, it can last up to three weeks in the refrigerator. In the freezer, it can last up to two months. To save a chunk of Munster cheese in the fridge, wrap the cheese in parchment paper and then seal with a plastic wrap. To freeze longer, cut the cheese into small portions and wrap tightly in a heavy-duty freezer bag or aluminum foil. If you want a queso fresco substitute for tacos, burritos, and fajitas, then the Monterey Jack is a great option. It has a mild flavor that complements well to Spanish and Mexican dishes. Like the Muenster, Monterey Jack is a semi-firm cheese that has a sweet taste. 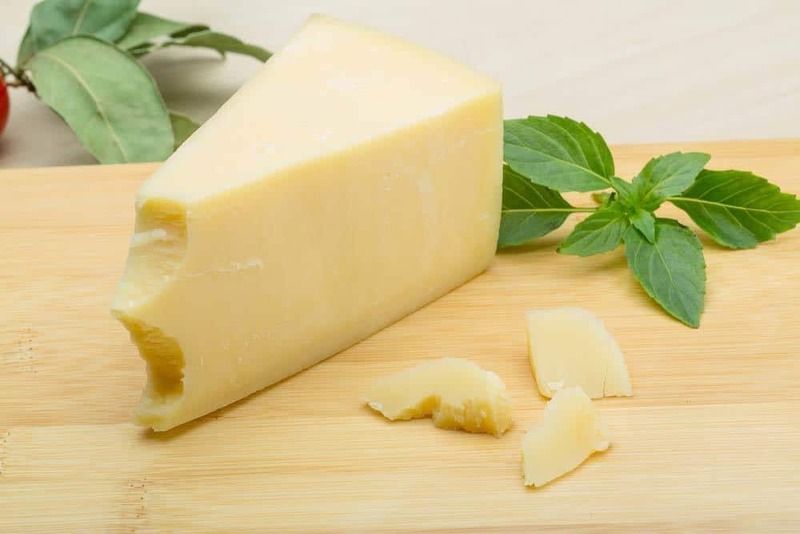 If you’re a fan of low-fat cheese, Monterey Jack might not be your best bet since it’s made from pasteurized cow’s milk with a high-fat content of 74%. The texture is creamy and firm, and the taste is buttery. You won’t have a problem finding this cheese because it’s readily available in supermarkets and grocery stores. There are even varieties flavored with hot peppers or herbs. However, the aged version, Dry Jack, might a bit harder to find in the market. 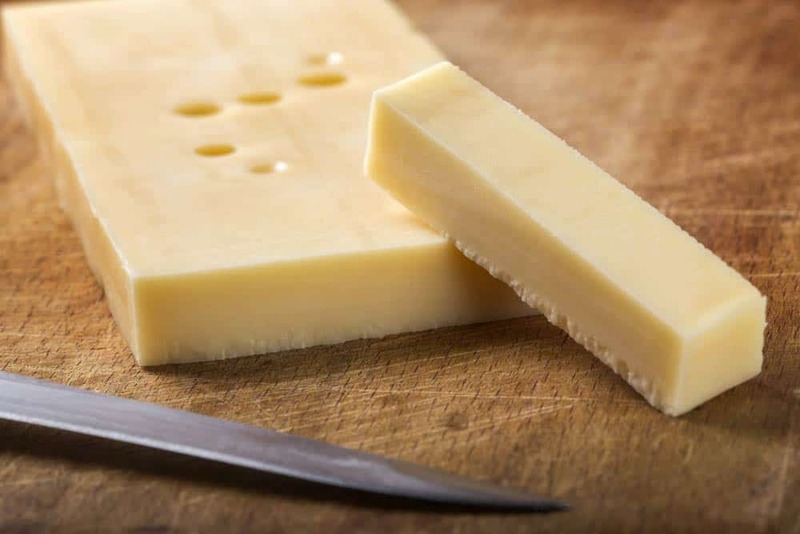 A chunk of Monterey Jack can last in the refrigerator for 3-4 weeks and in the freezer for six months. Refrigerate or freeze Monterey Jack like you would with Muenster. If you see molds appearing, discard the whole package of cheese. Another crumbly cheese that you can use as a queso fresco substitute is requeson, the Latin version of ricotta. This fresh cheese is made similar to ricotta with some of the way coming from other cheese residues. However, it’s drained and pressed to a solid consistency, which is entirely different from ricotta. The texture of this cheese is very creamy and a bit grainy. The consistency may vary from firm to creamy with a characteristic taste of salty and sharp. If you’re looking for a slightly creamier and mild requeson, opt for the Brazilian version. If you’re health conscious, then fresh soft cheese fits for you as it contains a small amount of fat. You can use this cheese in enchiladas, salads, and pasta. Did you enjoy the list of possible queso fresco substitute options for your Mexican dishes? It’s essential that you know these alternatives so you won’t be feeling frustrated every time you can’t find queso fresco in your local grocery stores. You can also try all of the other options and check which of the cheese fits your preference. If you ever have questions for us or suggestions, you can let us know in the comments section, and we’ll reply to them as soon as possible. You can also share this article with your friends and family! Making Omelets: How to Handle Eggs to Keep Omelets Safe? The Difference Between Masa Harina and Cornmeal and Corn Flour Revealed!